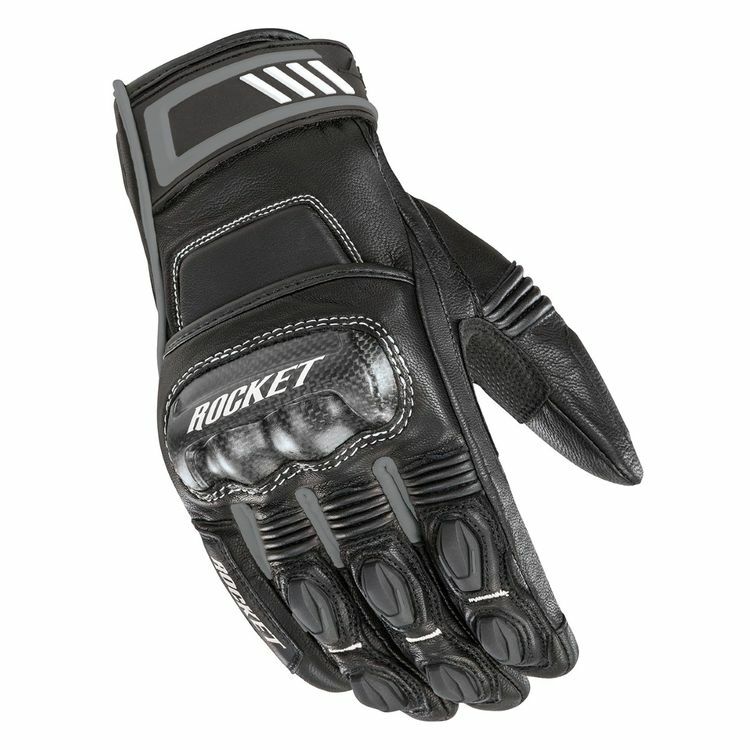 The Joe Rocket Highside Gloves are constructed of cowhide with support from heavy duty nylon. The abrasion resistant leather palm provides additional protective padding as do the tops of both hands and thumbs. Molded knuckle armor and molded finger protection also add to the overall security of the Highside Gloves. Finished with full flex expansion panels and an adjustable cuff closure, the Highside Gloves are as comfortable as they are defensive.